One morning last week, a friend and I went to check out what Santa had on display at a large toy store so we could *ahem* report back to our children. We both have little girls the same age and all three of them have very similar tastes, so we were keeping an eye out for things they might like to put on the all-important lists we'll be writing over the next few days. We spent a while wandering the aisles, debating important things like whether the new-style Strawberry Shortcake dolls were more or less cute than their 1980's counterparts and whether Bratz dolls were actually more terrifying than Monster High dolls and whether any of our girls were even interested in playing with dolls (spoiler: they're not). I mean, COME ON! Is that not the cutest thing in the world? Imagine getting to set up things like that all day! 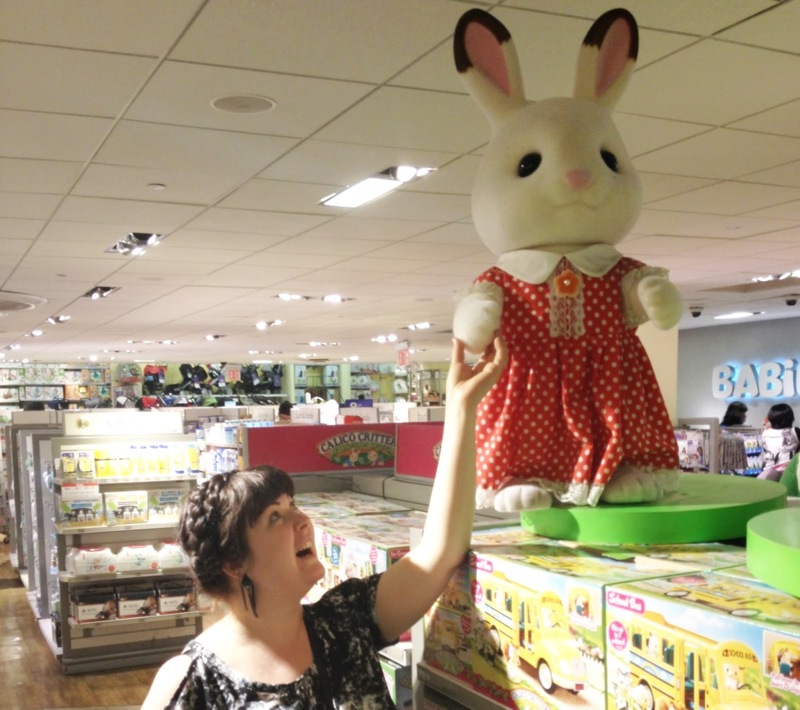 They're known as 'Calico Critters' in the USA, FYI. ... after that one thing lead to another and some emails were exchanged and BLAMMO - I have my dream job. Or at least as close to my dream job as I'm ever likely to get, that is! 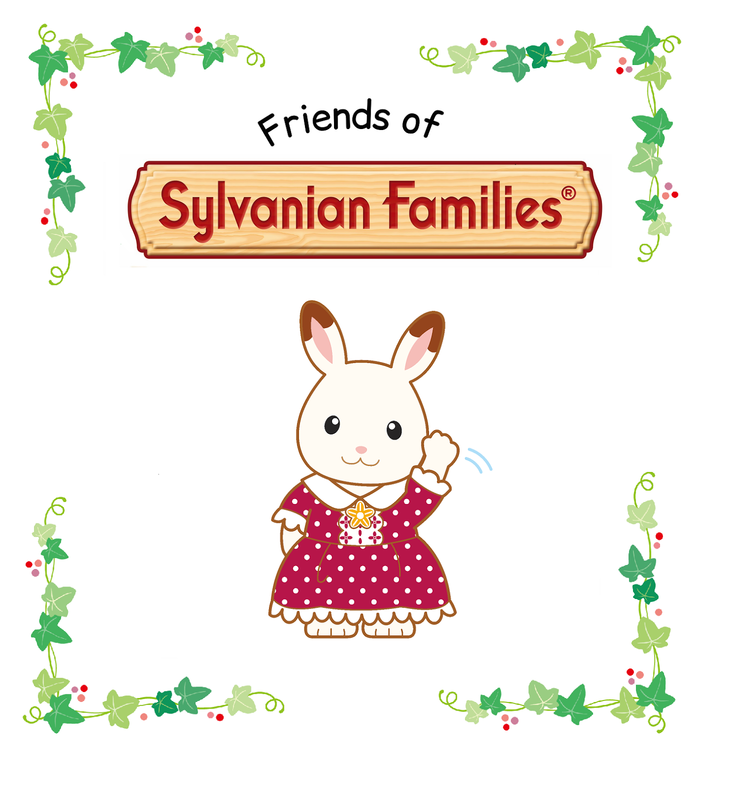 I've been chosen to be a 'Friend of Sylvanian Families'!!! How exciting is that?! 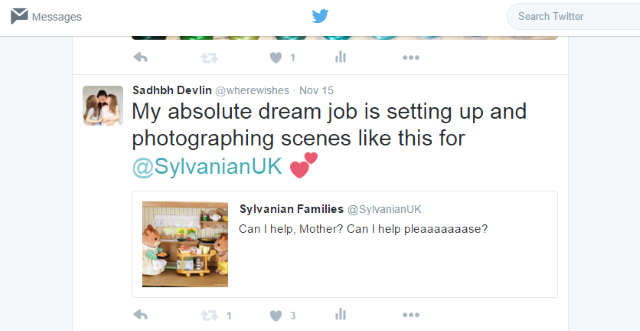 This basically means that from time to time I will be receiving some Sylvanian Families toys for the purposes of reviewing them, creating some Sylvanian inspired crafts and parties and maybe even bringing them out on adventures with Lile and Sábha. I'll also be keeping you up to date on all the latest product news and hopefully even sharing some Sylvanian love with my readers. 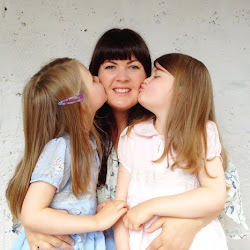 I'm super excited to work with one of my favourite brands and to add this new element to my blog. I really hope you'll enjoy my posts on the subject! That is really cool! My 7yo just put "Calico Critters" on her Christmas list. She loves them all. Thanks Maud! I can't believe it! Mabel has great taste :) I think the Calico Critters range has some different things in the range too (like the yellow school bus pictured above) which is really cool. I picked up some tuxedo cat 'triplets' in NY, which I know you can't get here. Wow-congrats!I loved Sylvanian families too as a nipper. Looking forward to your posts! Thanks Aedín! We 'of a certain age' were at the forefront of the whole thing - they hold such nostalgia for me. Thanks so much, sweet Nicola. I imagine there must be fans in your house too, are there? Cool! Can't wait to follow your posts I love them too. I unfortunately didn't have any a a child :-( (I think they were too expensive). Hoping my Elf gets into them! I had a very limited collection (and a wooden house that my uncle made me!) because they were pricey (still are) and we wouldn't have been well off - but they are absolutely timeless and, I believe, a great investment. 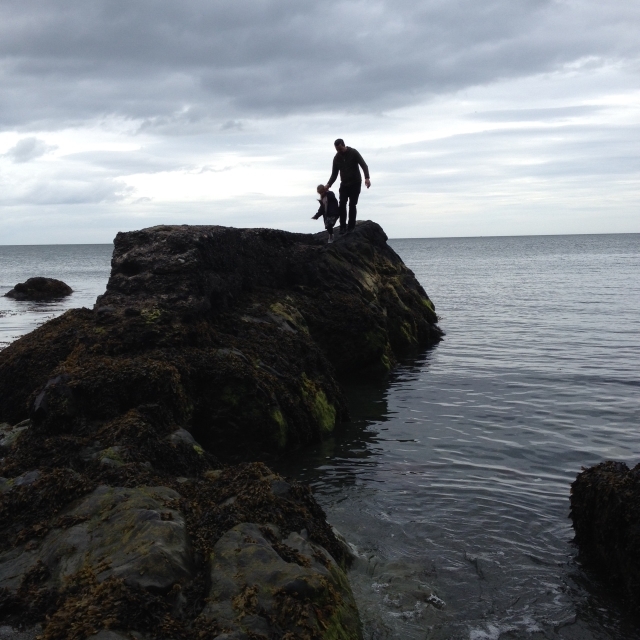 I'm sure you'd appreciate the nature-loving element of them too, and have as much fun with them as your girlies! They are really fab for encouraging imaginative and creative play. 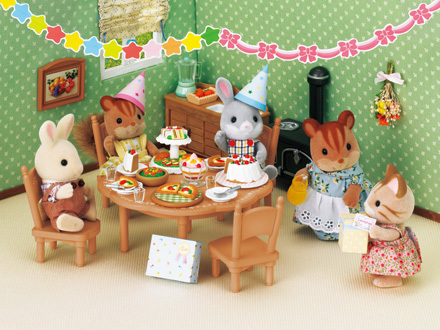 Utterly cool and a great dream job :-) my 7 year old also has Sylvanians on her list... I can't wait to play, I mean, see them on Christmas morning!! Oh my god! The jealousy! Well done!!! I completely understand the jealousy. I was wildly jealous when my little cousin got the hotel for xmas... and I was in my 30's at the time..
That's brilliant! Well done you! WHAT. WHAT. WHAT. WHAT. WHAT. This is amazing!!!!! Oh Sadhbh, I'm equal parts jealous of and excited for you!!!! :D Oh man. This is so exciting! I cannot wait to see what you create! Absolute dream job - NAILED IT. p.s. Can I come over and play? I KNOW!!! I'd be jealous too if it wasn't meeeee! That is amazing and great job chasing your "dream job". Have a list of companies I would love to work with and definitely need to get emailing. Look forward to reading more about the job in the future.